You Are Here: Home > Why Service With Us? Is your Jeep Cherokee begging for an oil change? Does your Fiat 500 feel like it needs a quick fix? Whether its scheduled maintenance or a pressing issue, you’re going to want it taken care of by experienced mechanics who are familiar with your specific model of car. Luckily, at Contemporary Automotive in Milford, we have the right people for anything your vehicle may need done. At Contemporary Automotive, we’ve been serving New Hampshire drivers for over 30 years now. The staff of certified technicians in our service department can reliably service your vehicle, and we also offer tune-ups and state inspections. While we work, you can relax at the dealership with our free Wi-Fi. For longer jobs, we offer a shuttle service to get you home, or a wide variety of great rental vehicles to get you around while your car is tended to. Our shop is open six days of the week, with early bird hours starting at 7:30 AM. Tuesdays and Thursdays we’re open until 8 PM for your convenience.  In addition to great service, Contemporary Automotive has a parts department that offers all the original and official MOPAR car parts and accessories for your Jeep, Dodge, Ram, Chrysler, Fiat, or SRT vehicle. From your A/C to your alternator, or from your spark plugs to your suspension, we’ve got you covered. And we have more than just the necessities. At Contemporary, we can help Manchester area drivers upgrade or customize their vehicles. Tired of ill-fitting or cheap third party accessories? Don’t trust the generics? We can help you get the real thing to keep your car running smoothly and looking great. With official MOPAR Performance parts, we can also assist those looking to get the most out of their vehicle. More horsepower, more growl, more fun: whatever you’re after, the licensed and knowledgeable mechanics at Contemporary can help you get it set up. And a car is only as good and safe as what it rides on, so we also offer new Michelin and Goodyear tires for smooth traction year-round. We often run specials on parts, tires, and service so be sure to check out our current deals before planning your purchase or appointment. Our staff of experts are ready to get Manchester area drivers the original car parts their Chrysler, Dodge, Jeep, Fiat, or Ram needs. Don’t hesitate to stop into our parts or service department in Milford. You can also reach out online or to give us a call at (844) 297-9511.